Bathukamma is the floral festival (Cultural Festival of Telangana) celebrated by the Hindu women in the Indian state of Telangana. 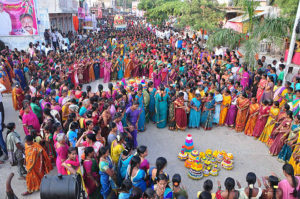 The women gather and celebrate Bathukamma Festival by singing Bathukamma Telugu Songs and playing around the Batukamma in traditional dresses. The festival is celebrated for Nine Days. 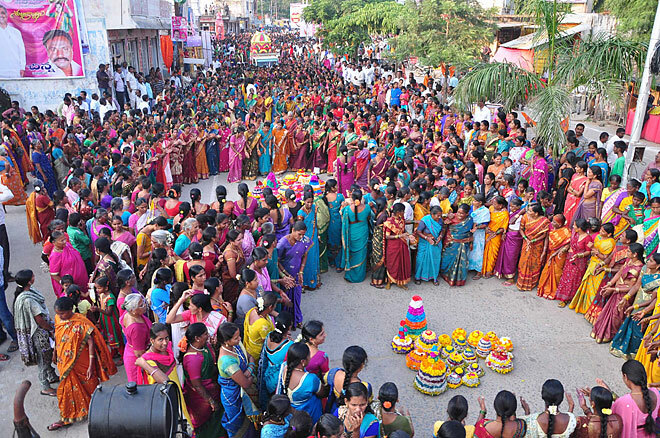 Read more about 9 Days of Bathukamma Festival. We will update more Bathukamma Songs soon with Audio and Video Versions. Know more about Bathukamma Festival.